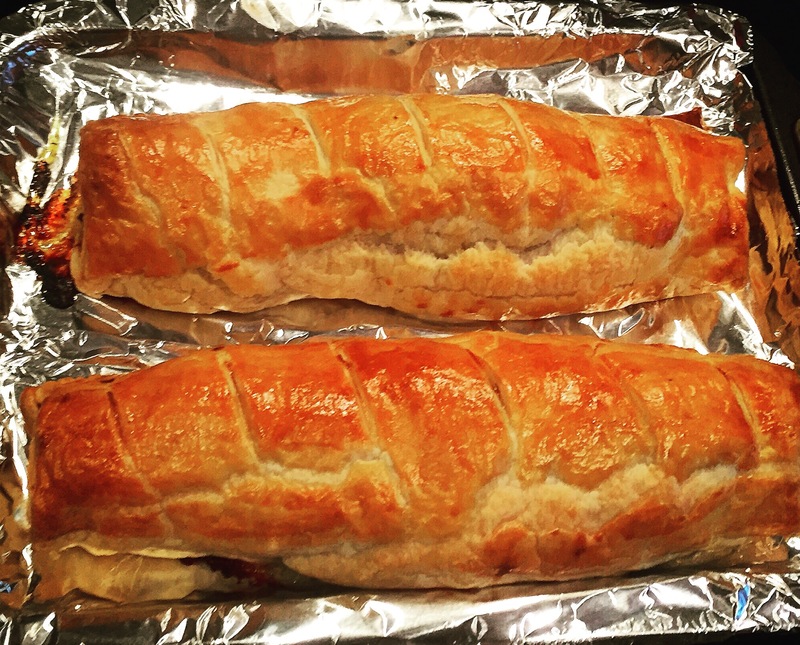 I know Mr B has already shared his party sausage roll recipe with you, but we made these giant ones together at the weekend and it seemed a bit churlish not to share them with you. They are pretty cumbersome, but make a filling lunch served hot with some salad or add some more carbs and roasted veg or baked beans to give you a comforting supper. I suppose you could slice them up for a party, or just make them smaller! 1. Preheat the oven to 180C fan. 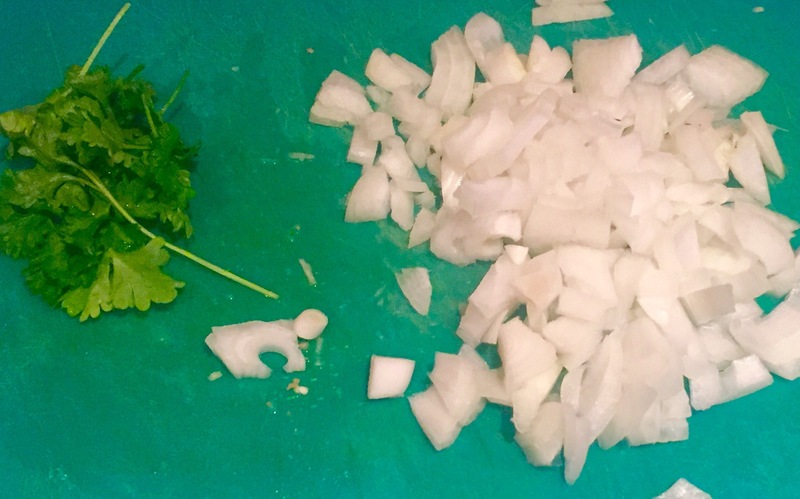 Finely chop the onion and parsley. Heat a little oil in a small saucepan and cook off the onion gently. 2. 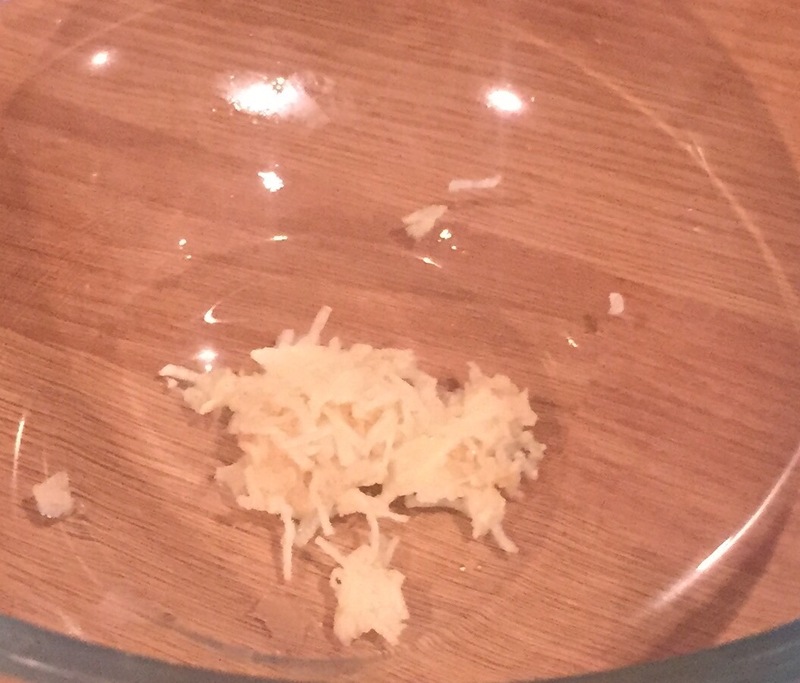 Grate the garlic and ginger and add it to the saucepan, letting it cook off as well to soften the flavour. When they’re all cooked off, set the saucepan aside to cool off (or set the saucepan in some cold water if you’re in a hurry) so they’re not being added to the cold meat. 4. 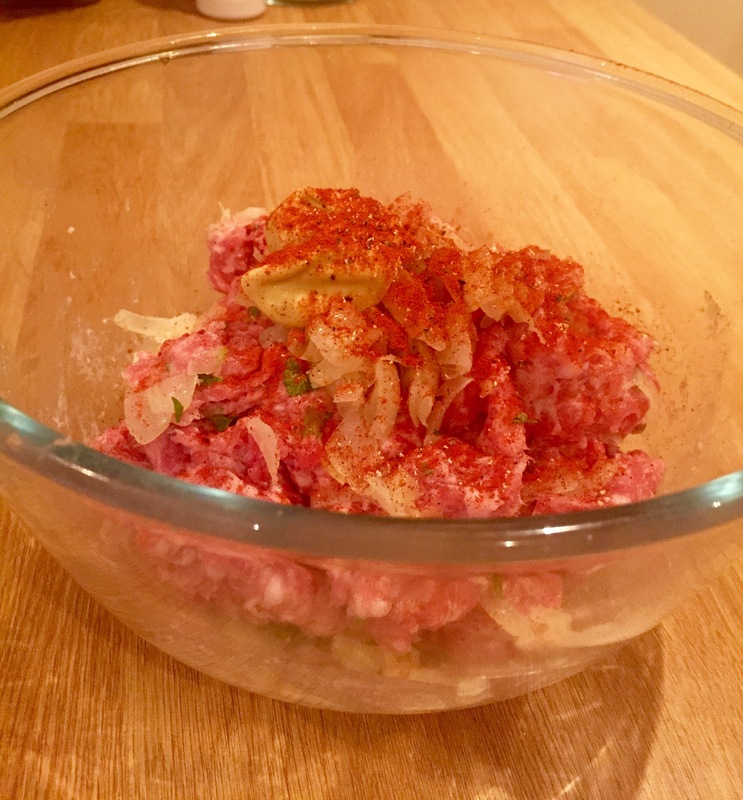 Add the cooled onion, garlic and ginger mixture, then the seasoning, mustard and paprika. 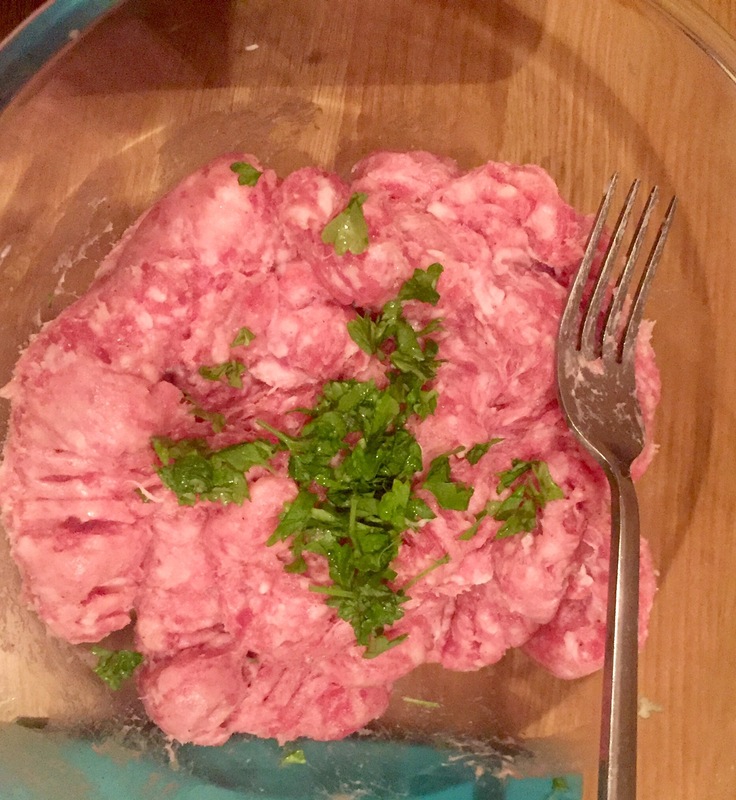 Mix everything together well with your hands, making sure the flavourings are evenly distributed throughout the meat. 5. 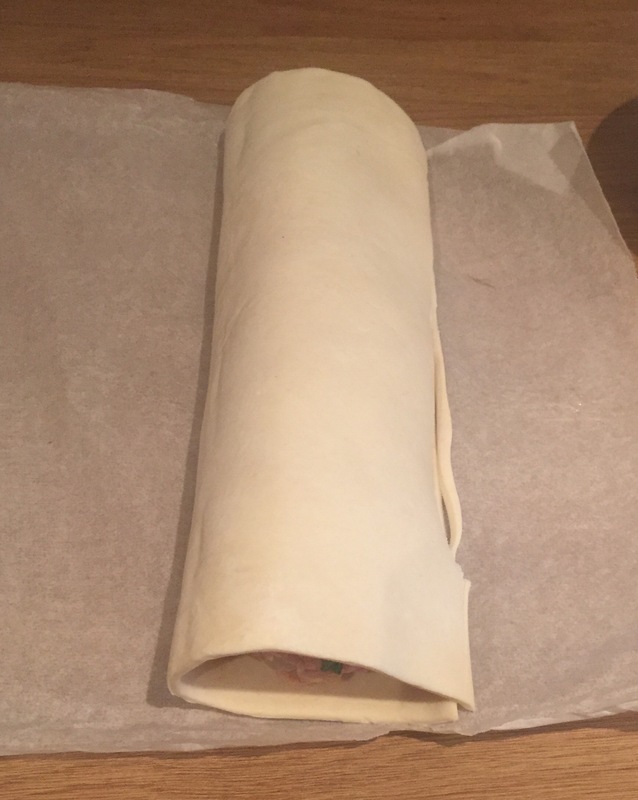 Get your pasty ready by unrolling it (or rolling it out if you haven’t bought ready rolled), leaving it on the paper to save making too much mess (Charles will roll his eyes here; I always make a terrible mess and he usually has to clean up after me!). 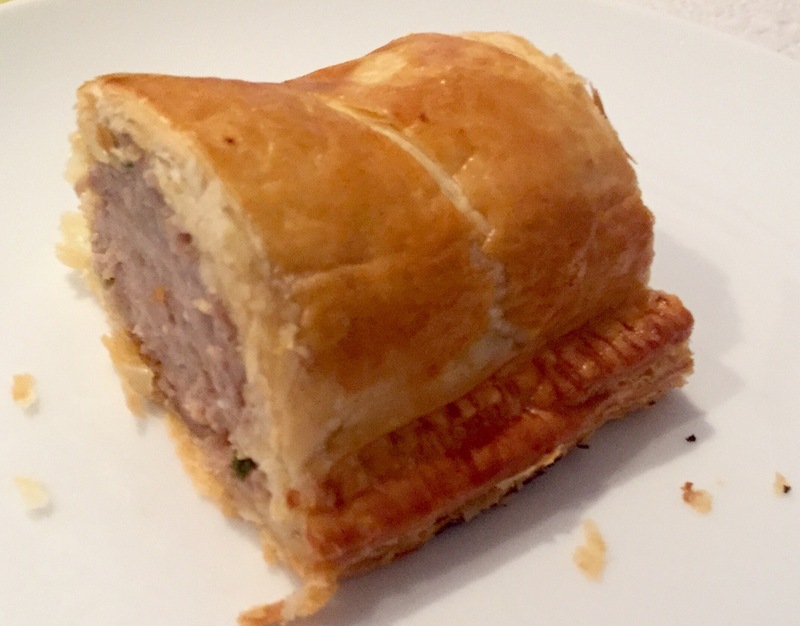 Try to pull out about half of your sausage mixture and press it into a sort of large sausage shape, laying it along the short side of the pastry, leaving enough room to fold the top over, but also making sure there’s enough pastry left for the other half of the meat (that’s to say: use half of the pastry!). 6. Check that the top can fold over nicely and reposition the meat a little if necessary. 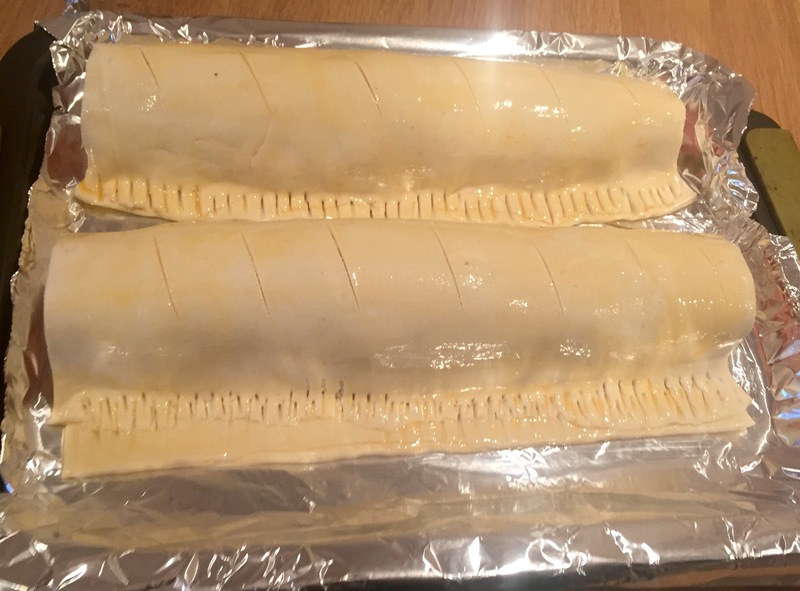 You should make sure it’s pulled together relatively snugly so there are no big air pockets, but there should also be around a centimetre of excess pastry along each edge to match up. 7. Whisk the egg in a bowl and use a pastry brush to egg wash (brush on beaten egg) the inside of the seam to help it to bind. Press the seam together with a fork to form a nice seam. 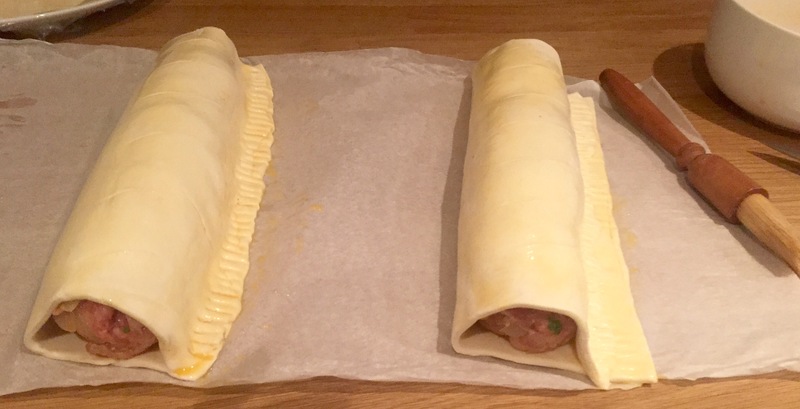 Next, egg wash the top and sides of each sausage roll, score the top with diagonal lines and egg wash again. This will make your pastry golden and shiny once it’s cooked. 8. 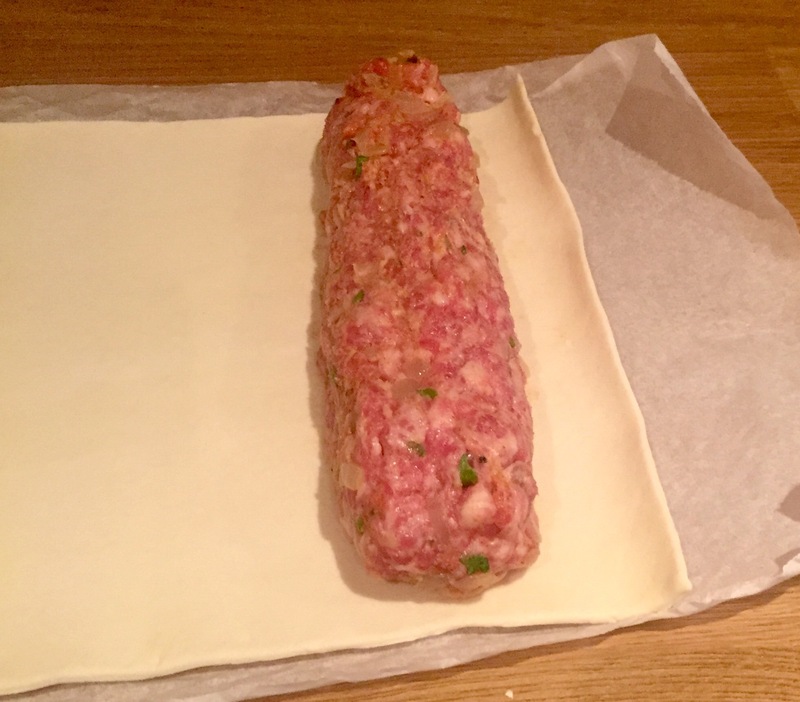 Carefully transfer the sausage rolls onto a baking tray lined with tin foil. Pop it into the oven and leave it there for 30-40 minutes, or until the pastry is golden brown and the meat is nicely cooked. Serve in chunks or slices, hot or cold. But please do enjoy! They can also be reheated later on, just make sure the meat is nice and hot in the middle.